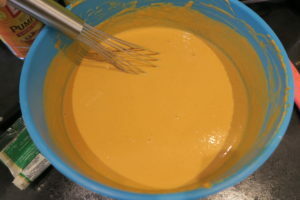 I make Pumpkin Pie every year around Halloween time, and I often make two of them! It’s such a special bake to me as it reminds me of this time of year, time with friends and family, and happy memories. 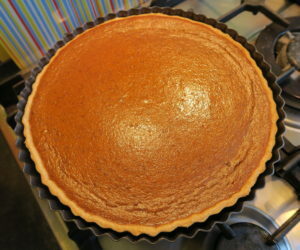 One of my favourite things to do is to see people who’ve never tried Pumpkin Pie before taste it and love it! If you’ve not had it before, it’s sweet pie with the texture of a set custard, and it’s packed with spices like cinnamon, nutmeg and ginger. To me, it’s Autumn in a pie! 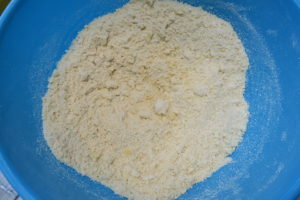 To make the pastry I started by rubbing the butter into the flour and sugar, then I added milk and brought it together into a dough. 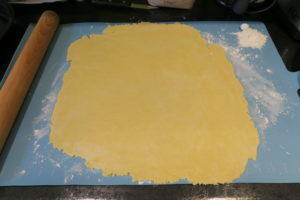 I rolled the pastry out and lined the tin, cutting off any excess. 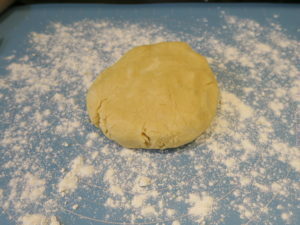 Then I blind baked the pastry shell. 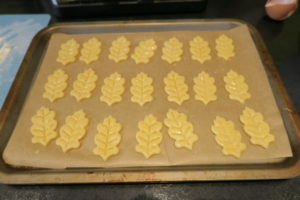 With the leftover pastry I made some pastry leaves to decorate the Pumpkin Pie. 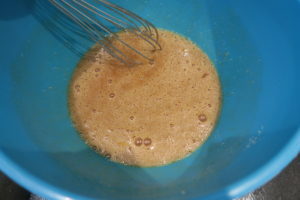 For the filling I started by whisking the eggs and light brown sugar together. 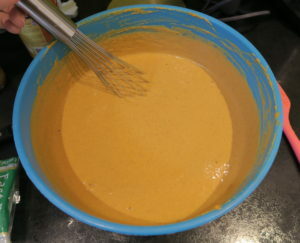 Then I added the cream and pumpkin puree and whisked well. Finally I added the spices and a little salt. 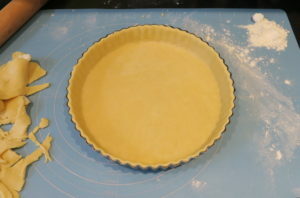 Then I poured it into the pie shell. 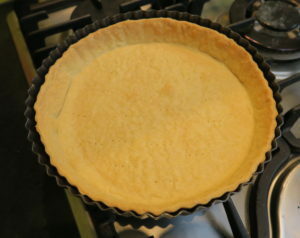 I baked the pie until it was a lovely rich orange colour, and the filling was set, it took about 40 minutes. I let the pie cool fully, then put it in the fridge to chill. 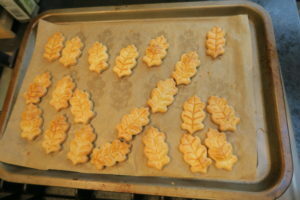 You can decorate it with pastry leaves like I made, or add swirls of whipped cream, or leave it plain. It’s good no matter what! 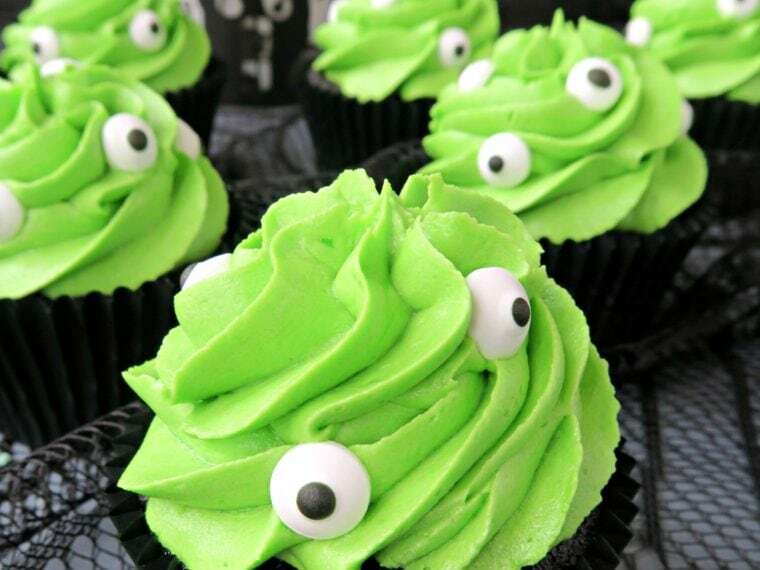 I love this recipe so much and I plan to make it for many years to come and teach it to my children! You can find more of my Pie recipes by clicking here!